It may be getting a little colder outside as fall is upon us, and you might not have the luxury of flying to beautiful California, Hawaii, or in a completely different country like the pros do. What's a golf enthusiast to do? Sure, you could play Hot Shots Golf (a great series in its own right), but you certainly wouldn't get the real feel of the playing. Step up to the tee and take on Tiger Woods PGA Tour 09 All-Play for the Nintendo Wii-- an experience that is as close to the bermuda fairways of the real thing as you'll get on any other console or game. 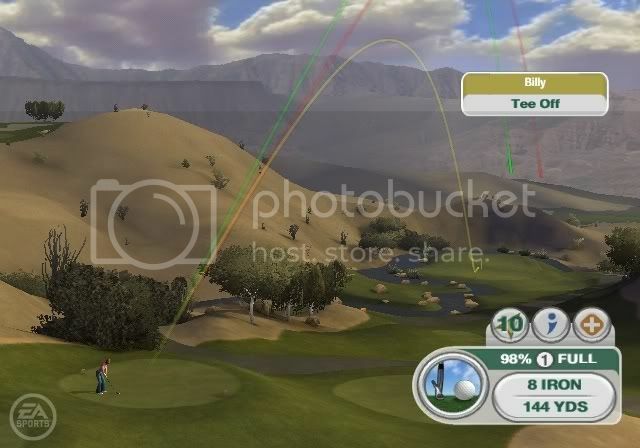 The previous two Wii entries were failed experiments overall, but with the inclusion of more fine-tuned controls, a bevy of new mini-games, and an online mode, does PGA Tour 09 make the cut this year? One of the 22 real-world courses in this content-heavy golf game. This is Sun City's signature hole-- number nine. The first thing you'll notice as your peruse the start menu of Tiger Woods 09 is that there are a LOT of options and content to open yourself up to. The greatest time-sinker is the Career mode where players create their own golfer and put him or her through three specific modes. Firstly, there's the PGA Tour Season which starts you out as a rookie playing through the amateur leagues for a year all the way up to the Q-School tournament where making the top 30 rewards with you with an entry into the big show, the PGA Tour. You can play up to thirty years taking part in 1-4 round competitions tournaments, all the while advancing your career by receiving new sponsorships, staying on the top of the FedExCup and money leaderboards, and performing well in events. The second option is the FedExCup itself. This mode allows you to skip the drama of a season and jump directly into a four-tournament playoff with the best score determining the overall champion. Finally, there's the Tiger Challenge which is the most varied of the three Career mode paths. This mode requires you to accumulate enough points to go man-to-man (or woman in Annika Sorenstam's case) with one of seven pro golfers. This is accomplished by completing some of a given pro's nine challenges-- each challenge gives you points. Earn enough points, and you can take on the pro of that given level. 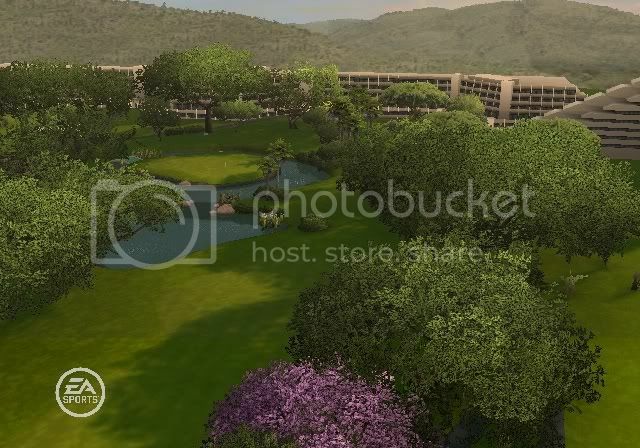 By completing a level's pro, you go on to the next pro's challenges and so on until your final match play round with Tiger Woods himself. The aforementioned challenges consist of short rounds of stroke, match, or skins play against a fictitious (and done right offensive-looking) amateur golfer. There's also long drive, nearest to the pin, and putting challenges as well to keep the variety flowing. Persistent players will want to get 100% on every Career mode as that unlocks new golfers as well as new items to purchase in the Pro Shop. He's not swinging for the ball. He's trying to kill his shadow. However, you'll need a golfer to put those new items on. Your created character is yours to sculpt. Everything from head, ear, nose, mouth, eye, body, muscle, arm, leg, and any-other-body-part-not-mentioned size is available for you to alter. Then you can enter the Pro Shop with the money earned from various challenges and competitions to get yourself some presentable clothes... or just go my way of wearing an untucked button-down shirt and cargo pants and say the hell with course etiquette. You can purchase hats, glasses, shirts, slacks, shorts, shoes, socks, sandals, accessories, golf equipment, even victory and defeat animations, and much more. In total there are over 2,500 items available for purchase inside the Pro Shop, so start saving up (but don't invest in any American stocks right now). After taking your custom-tailored golfer out of the womb and straight into the world of golf, you might want to adjust your clubs if you feel that you're not getting what you want out of your shots. This is where the Club Tuner feature comes in. You can literally calibrate your clubs to tinker them to the point of your own personal satisfaction. Yes, this is one of the target games I was referring to. Speaking of big things, the biggest new addition in the eyes of most players is that of online play. Madden's had it for a year on the Wii, but this is Tiger's first online foray for the Wii, and quite honestly it's one of the best online experiences to be had on Nintendo's white console. As with all EA Wii games, you need not use those dreaded friend codes. If you've played a past EA online game on the Wii, you'll already have your tag which covers every past, current, and future online EA Wii project. Pretty cool, huh? Even if you don't have one yet, it's as simple as logging in online via the game lobby and creating one. You can choose to play with a total stranger, set up your own game, or hook up with friends using the EA messenger to create buddy lists and contact them easily. If you've played Camelot's We Love Golf from this past summer, you probably noticed that online play was simply relegated to match play only. 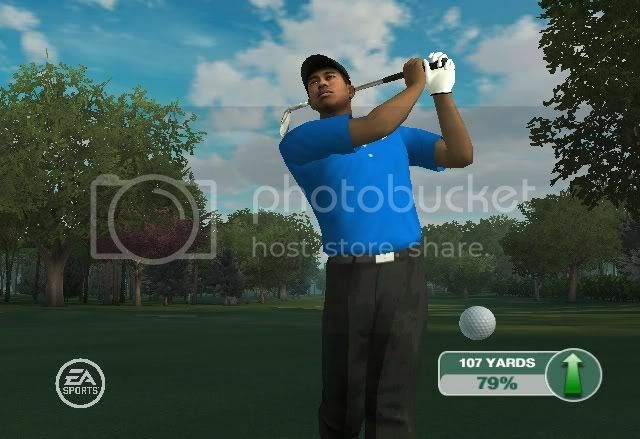 Tiger Woods 09 gives the player more options. Not only can you play in turns, but you can also play simultaneously meaning that 2-4 players can partake in stroke play without waiting for another to finish a given shot. And if you've played a boneheaded CPU opponent in match play on easy mode-- oh, now playing his fourth shot in a row-- you'll know what I'm talking about in saying that this is a godsend. It's as if you're playing a round all to yourself, but your opponents' shots are displayed in real-time by a colored line for you to keep tabs. Scores are updated in between holes. Why wait for Jabroni23? Just play at your own pace! And if THAT wasn't enough, there's a total of twenty-two world-renowned courses for your clubs to go to town on. These range from the coastal and picturesque beauty of Pebble Beach to the mountainous and rugged valleys of Wolf Creek, from the vibrant and vivid grasses of South Africa's Sun City to going down under to take on Australia's The National golf course, and that's just four of the 22! In total, there's 396 individual, regulation holes in all, so rest assured there's plenty of holes to sink your balls into. ...No, I'm not going near the gutter this time. Moving on. A great feature the developers added was the ability to change the difficulty of your opponents as well as the various courses on the fly. You'll earn more money for completing courses at higher difficulties than you would on easy mode. So if the game's too easy for you, tune up how hard the game will be to your satisfaction. You can make greens more complicated, the wind blow more fiercely, and so on. 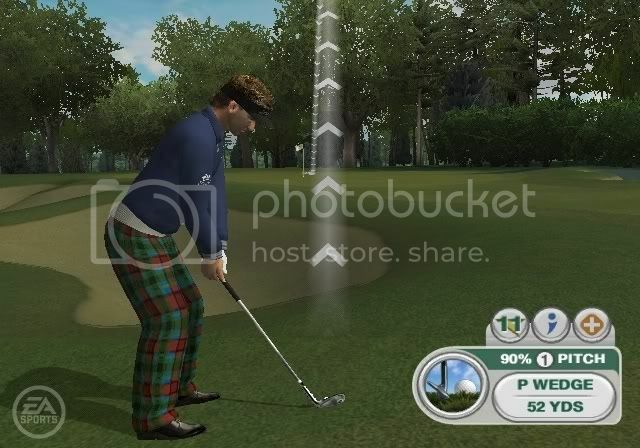 Unfortunately, a feature that is present in the arcade golf titles that is missing in Tiger Woods 09 is a record feature to watch your best shots and show them to your friends. Why is it in a game with no record feature I've made 19 hole in ones and 7 double eagles, but in games with record features I've made considerably less? Damn you, video game golf gods!!! There's obviously a remarkable amount of content available, but it's all lost if the game plays like 07 or even 08. Thankfully, this isn't the case at all control-wise. Tiger Woods 09 is a brilliant step-up, and it honestly comes off as one of the best golf controls period. Now that isn't to say it's perfect either, but it's darned good. To get a grip on the lie and the area where your ball will approximately land, you just hit the A button on the Wii remote-- no nunchuks required. A single tap will slowly zoom the camera onto the circle's (where the ball will land) position whereas a double tap will quickly zoom in to give you an idea of what type of shot is required. The control pad is used to move the circle around, bring it in, move it left, etc. Get the double-click analog method and any meters out of your mind. There's none of that until putting which we'll get to in a bit. To swing, hold the B button in, swing back and then forward. You can also press the - button to practice your swing. The speed of your backward and forward swings affects how hard your drives or shots will let loose. While in the air, you can press a direction on the control pad and start shaking the remote to give the ball some extra juice. Maybe you didn't give enough juice to your shot. You can try to make up for this by holding up on the control pad and waggling the Wii remote to give it a modest amount more kick. club or backswing when playing the short game. A lot of the time you'll be faced with challenges regarding your short game. If hitting a shot 100% will send the ball flying past the hole and hitting the ball 70% will make it hit the green, what can you do? This is where practice pays off and makes the game much more rewarding than on the other consoles. By not swinging as far back, your shot won't be as strong allowing you to get more technique in your short game. It takes practice, but once you nail it, it really is an awesome feeling. Probably what's the most frustrating part of playing Tiger Woods 09 early on is that of putting. It's definitely not broken or anything like that, but without understanding what you're doing fully it seems that way-- at least it did for me (again at first). Regardless, putting is much trickier than it should be. It certainly has a minor learning curve. When on the green, you're given your putter. This isn't a one putter show either. That thing's brought his whole family. I believe there's five putters in all each for different jobs. Too far away for the 5 ft putter? Bring out his bigger brother then. The traditional grid on the green shows the severity of the slopes and which way the green breaks if at all. This as well as the right putter choice makes all the difference. Nonetheless, you basically have to get a feel of how far you should putt something to see how close it gets to the hole-- and how it breaks. This is where the putt preview comes in. While on the green, hit the - button when you've thought of what you want to do for your shot. The putt preview will show what line the ball will take at that putting strength (1-100%) factoring in slope and green speed. If the preview says the shot will miss, it's up to you to compensate it all on your own as you only get one preview per hole (it wouldn't really be fair otherwise). The putt preview isn't always 100% accurate either. I've had it where the preview say the ball will go dead in the hole at the current strength, and when I putted it, the ball didn't have near enough juice to reach the hole. Bah, Jack Nicklaus made it look so easy! On the gameplay side of the course, most everything is quite good. When you step into the that back nine into presentation, things get pretty crazy. For one thing, the commentary is very much unchanged from last year, but the commentators certainly aren't. This year we have Kelly Tillman and Sam Torrance. I'd be more than thrilled with them if they knew what the hell they were talking about most of the time. I love their expert analysis when I'm on a green that's severely breaking right and Kelly goes, "Don't think about it. It's a straight putt." Yeah... You must still think Clay Aiken's straight, too, right? Oh, crap, I'm using obnoxious pop culture references now. Brilliant. Then there's Torrance who's always there to make your bad shots even worse. Impossible putt that I narrowly miss and he goes, "This is some of the worst putting I've ever seen." Ouch. The graphics are quite a modest (see: lazy) effort, too. Everything is Playstation 2-level quality. The water is as smooth and graceful as a drunk elephant, the trees are as static as cable TV owners who won't upgrade to digital in February 2009, and the majority of faux golfers are incredibly tacky, ugly, and repugnant. Totally unacceptable. The textures of the greens, fairways, and bunkers aren't too bad, however, and my created golfer and the pro golfers look satisfactory enough. The point is that while the graphics aren't certainly grotesque or an eye-sore, they could be much better if effort was put into the visuals as much as it was put into the gameplay. At the very least it wasn't the other way around. To round out the package, there's some nice tracks which play through the various menus as well as during gameplay (if you choose to do so from the options, that is). This thing? Not so much. What's wrong with his/her/its feet?! Despite any graphical shortcomings, Tiger Woods 09's gameplay and the exhausting amount of content in this fifty dollar Wii disc are more than worth it. Add in some MotionPlus next year, more new courses, a few absent options from the HD versions, and/or more up-to-par graphics, and the next installment will undoubtedly be better. So don't feel depressed or disappointed if you're wasting away this winter because you're unable to go outside and hit the links because now you can because Tiger Woods PGA Tour 09 All-Play for the Wii is the best golf-gaming experience available. And here's the bonus: you won't even have to wait behind the two boneheads who've spent the past hour arguing over whether or not the ball in the lake is a playable lie! Graphics: Nothing sensational, but there's a lot that's not very good. It's average at best, embarrassing at worst. Gameplay: I don't know how I can honestly go back to analog controls and love them as much as I love this. Sound: Cool music from Jimmy Eat World and more-- all without vocals to not clash with the commentators who can fetch my shagged balls from the drink. Man, that sounded dirty, too. Replay Value: There's so much here that you might be playing all the way until next year's game. Overall: 9.0/10 - Fantastic. Even if you have a feign interest in golf, you need to try this game out. It's wonderful. I loved (LOVED) Star Ocean: The Second Story, and I actually enjoyed Till the End of Time. We'll see how the fourth installment shapes up some time next year. In the meantime, let's take a look at these gorgeous new direct feed screens courtesy of NeoGAF. For more, check this link out. I'm most definitely going to rent this title-- possibly buy. Too many games this time of year as we all know. It will be hell on my backlog, yet fun at the same time. If I get through the game enough, I'll be happy to provide a review. Depends on the interest, I guess. What do you guys and gals think? You can catch the overhead maps of the tracks-- and their multiple branching paths-- here. The final great-scoring review of the past until the 100th review tomorrow night is Castlevania: The Dracula X Chronicles for the PSP. 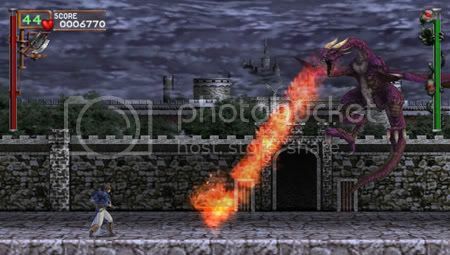 Speaking of which, Castlevania: Order of Ecclesia for the DS will be out by the end of the month. I should have a review of that early November. 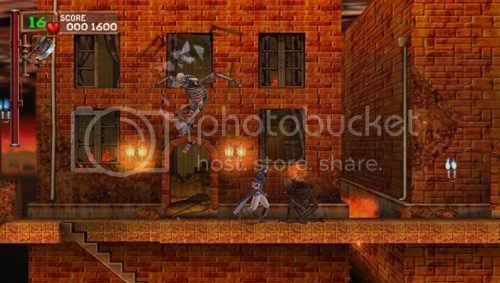 Sony's Playstation Portable has already seen a wealth of 2-D classics remade for its handheld system. From Mega Man to Ghost 'N Goblins, there's been a wide variety of titles for classic gamers and newcomers alike to sink their teeth into. Castlevania: The Dracula X Chronicles is one of such titles, and marks the first time Castlevania has been hosted on the PSP. However, this remake will most likely be new to most gamers on this side of the Pacific as Rondo of Blood (the game remade for this PSP release) never saw North American shores until now. A snippet from the opening cutscene. On a dark and stormy night, Richter Belmont, 19, rushes toward Count Dracula's castle to rescue his girlfriend and put to sleep the bloodsucking vampire once more as his ancestors did many moons ago. That's pretty much it for the story. What follows is the whip-cracking, demon-slaying action that Castlevania fans have come to expect from the series. Most recent Castlevania titles have fallen under the Metroidvania moniker-- that is-- by learning new moves and spells you can journey deeper and explore further into Count Dracula's not-so-humble abode. Rondo of Blood is not one of such titles. In Rondo of Blood you progress through various levels cracking that whip into hordes of demons, the undead, and other nasties while crossing chasms and initiating tricky jumps. We didn't start the fire. We just didn't put it out. Compared to more current Castlevania entries, Richter controls very archaically. He doesn't run, but he doesn't necessarily walk either. Maybe "stride" is a good term. If you begin a jump, you best stay committed to it as controlling Richter in mid-air isn't as swift and responsive as many are probably used to. Take damage, and you'll feel the recoil as your character gets rocked back-- sometimes into a bottomless pit-- instant death, by the way. However, getting used to the more restrictive than modern-day controls isn't an insurmountable task, and you'll be slaying demons with ease within a span of ten minutes. It just takes knowing the limits of your character is all. Additionally, the spunky Maria can be unlocked for play. She's much more maneuverable and fast as the sometimes sluggish-feeling Richter. While Belmont can only perform a mid-air backwards somersault, Maria can initiate a double jump. Secondly, her attack consists of throwing out a white dove directly in front of her. Timing isn't as crucial with Maria than it is with Richter, so she's the go-to-gal for those looking for less of a challenge. If playing as Richter is too hard for you, try using Maria instead. Richter and Maria aren't limited to using basic attacks either. By obtaining sub-weapons scattered in numerous and various locations throughout the game, the two can unleash magic and other attacks on foes permitting they have enough hearts (the magic meter of the game) to use. By pressing the triangle button they can perform an item crash-- a much more powerful version of their current sub-weapon perfect for removing an abundance of enemies from the screen or laying the smack down on a tough boss. Speaking of bosses, there's a plethora of them to slay. You'll most likely breeze through the first few, but later bosses prove to be a compromising challenge. From a winding sea dragon to a cantankerous minotaur with an attitude, there's plenty of battles to endure. Regardless, once you learn the attack patterns of each they'll each go down eventually. Every boss has a pattern for you to learn and take advantage of. Seven levels are at your disposal, and while that may seem short, it's deceptively so. Many levels have multiple paths to take-- some housing secret exits leading to completely different boss encounters and extra levels. These aren't always so obvious either. Sure, they can be as simple as walking up a staircase, but IGA and his team crafted some fiendish secrets as well. A wall may seem ordinary to the untrained eye, but a few cracks of the whip and it comes tumbling down to reveal another path. What seems to be a pit of instant death might actually be a route to discovery. This adventure aspect showcases the genius of the developers, and it shows that there's more to this title than meets the eye. There's damsels to rescue, soundtrack items to discover, and bonuses to unlock. Richter performs a little clunky compared to more modern Castlevanias. These bonuses include a boss rush mode where players take on a series of boss encounters with little pauses in between battles to refill magic and equip new sub-weapons. By completing the boss rush modes (three in all) multiple times, you'll unlock new soundtrack items. These can be assigned to any level you choose. It's not much of a bonus, but those wanting 100% completion (you know you want it) will need to scour every nook and cranny of every level, beat every boss rush mode, and discover every hidden area for the extra soundtrack items. Those new to Rondo of Blood (most of us) will most likely have little idea as to what differs from the remake to the original Rondo. Thankfully the gameplay remains intact while the entire audio and visual experience has been modified for the better. 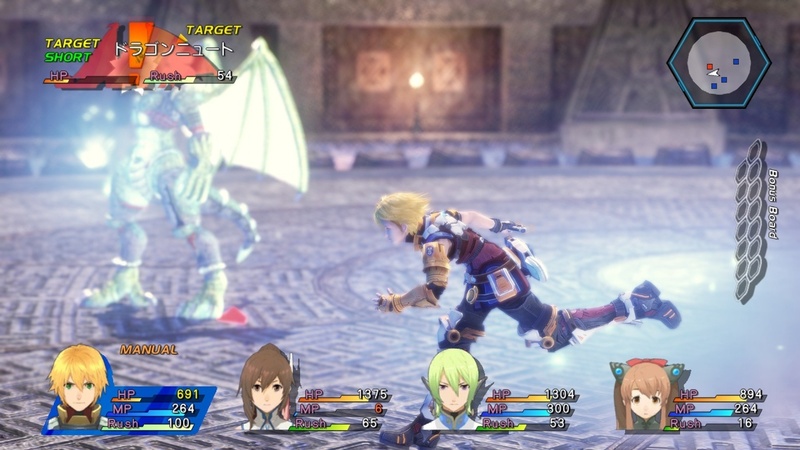 Besides obvious graphical changes from the 2-D sprites of the original to 3-D polygons for characters, enemies, and backgrounds, there's updated music (from the old synth to a more orchestral sounding score), 2-1/2 D sections of gameplay, cinematic cutscenes for boss encounters and other mid-game happenings, and full voice work. There's enough new options and content available to make even those that aren't newcomers to the game feel like they're playing Rondo of Blood for the first time. Want to know how the original Rondo of Blood plays? Give it a shot. The icing on this sweet package is the addition of two unlockable games included with the remade Rondo of Blood. We have the original Japan-exclusive PC-Engine Super CD version of Rondo of Blood as well as the game that many fans hail as the best Castlevania ever in Castlevania: Symphony of the Night. These titles are emulated to sheer perfection and should not be missed even if you've completed the remade RoB. The only difference in Symphony of the Night is a welcomed one-- redone voice acting. What is voice acting? A miserable little pile of thanked change! Being able to replay Symphony of the Night on a handheld to emulated excellence is worth the price tag alone, but the inclusion of the original and remade Rondo of Blood seals the deal. There's a rather high difficulty to be had-- those old-school gamers will feel right at home to-- but it's one that many gamers will greet with open arms and whips. There are frustrating moments, but a little patience is all that it takes to persevere. The remake by itself is fantastic and rewarding, but the addition of hidden items, a boss rush mode, remixed music, updated graphics and presentation, and the inclusion of two classic Castlevania titles makes Castlevania: The Dracula X Chronicles shine above other PSP titles. It's simply a fantastic deal full of addictive gameplay and wonders to behold-- a highly recommended PSP title for anyone wanting a fresh take on an old series of classics. Story: Richter Belmont seeks to rescue his girlfriend from the evil that is the undying Count Dracula. Graphics: Remade 2-D models and backgrounds into 3-D coupled with impressive shading and lighting effects equal one astounding graphical package. Gameplay: An old-school difficulty that may put off some not seeking a high challenge, but those that stick with the restrictive controls will find one hell of a rewarding title. Sound: Michiru Yamane's greatest hits. The soundtrack is updated and remixed. There's plenty of musical goodness for your ears to enjoy as well as some pretty good voice work. Replay Value: Beating the game once will most likely take less than two hours, but finding all of the soundtrack items and damsels, achieving 100%, and unlocking the full original versions of Rondo of Blood and Symphony of the Night makes the longevity of this UMD high. Overall: 9.25/10 - Incredible. A fabulous remake of Rondo of Blood and two classic titles all on the same UMD. What a satisfying conference. A lot of nice stuff coming out. We'll see if there's anything worth mentioning at the North American conference later today. Here's a recap of the events at the Japanese conference courtesy of NeoGAF. - Has SD slot on right-hand side. - November in Japan, 2009 elsewhere. - Black and white versions. - (?) Possibly Big Brain Academy 2? - Let's Tap by Prope. 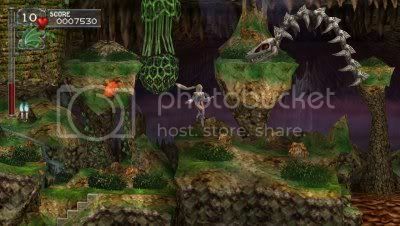 - Trace Memory Wii looks EXCELLENT!!!!!! - Endless Ocean 2 - MEGA PENGUINS!!!!! - Sengoku Musou (Samurai Warriors) coming to Wii. - New mainline Tales of. 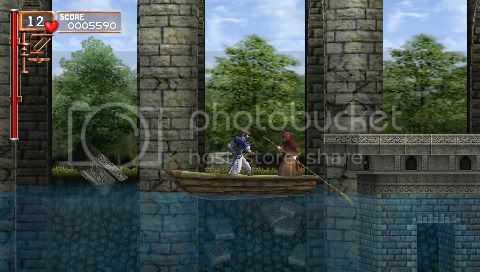 - Wii getting re-releases of GCN titles. Not ports. Not ports. Not ports. Not ports. Do not appear to have waggle or any changes. Not ports. Re-releases. Should be budget. Starting with DK Jungle Beat and Pikmin. You can watch the two game montages (Wii and DS 2008 and 2009 software) here. It's already the middle of the week, so allow me to break out a rare PS3 review! Don't worry-- there's a lot more where this review came from. Currently, Ratchet & Clank Future: Tools of Destruction is my highest-rated PS3 game, but I've still yet to finish Uncharted: Drake's Fortune and Metal Gear Solid 4 which rest patiently in my collection. Can you teach an old Lombax new tricks? In 2001 the very first Ratchet & Clank game was released for the Sony's Playstation 2. Since then there's been a total of five more Ratchet games with the fifth being Ratchet & Clank Future: Tools of Destruction for the PS3. Now with so many titles in just a seven year span, developer Insomniac runs the risk of having the series feel same old, same old. 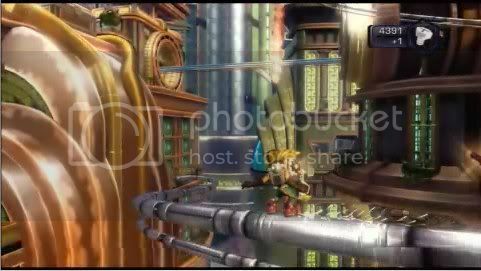 Is it not to late to teach an old Lombax new tricks, or do Ratchet and Clank deserve an extended vacation? Ratchet and Clank are spending a day off-duty tinkering on their hovercar when suddenly they receive a distress signal from Captain Qwark. Qwark cautions the pair of an alien attack. 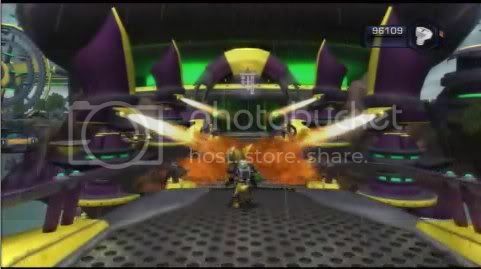 As the transmission ends, Ratchet and Clank are thrust into a conflict with the leader of the attacking Cragmite race, Emperor Tachyon, who holds a profound hatred of the Lombax race and desires to finish off the race by eliminating the last Lombax in the galaxy, Ratchet. This is all the while moving closer to his goal of conquering the entire universe. Big ambitions for such a small guy. Meanwhile, Clank is suddenly in contact with an invisible, time-traveling species known as the Zonis who give him new tools and assistance when he's all on his own. 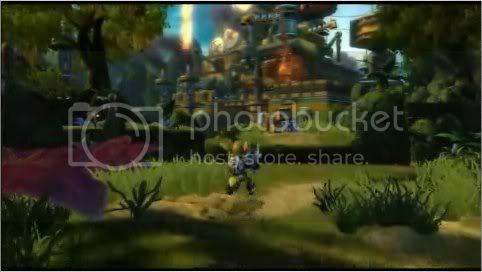 The writing of the Ratchet & Clank series is known for being top-notch and quite humorous. While there are moments of humor injected throughout the game, the writing is sometimes hit or miss. The story is one of the best of the series as there's numerous moments that will tug on your heartstrings or give you a smile. Such cinematic experiences are in-game and incredibly epic. Ratchet & Clank has you progress linearly through the story. The same formula holds up even to this fifth installment. You arrive on a planet, you take out the foes along the path while opening doors, grinding on rails, and leaping from platform to platform, and finally watch a holo-vid that opens up the next planet for you to explore. This title is very much a pick-up-and-play experience. You can go through weeks of not playing, return to the game, and know exactly what you need to do and where you need to go. Tools of Destruction is by no means a misnomer at all. Weapons and gadgets are the meat and potatoes of the Ratchet & Clank soufflé, and this newest entry into the series very much delivers on the explosive goods. Ratchet's arsenal is seriously beefed up with weapons that are truly satisfying to use such as the rocket-propelled Negotiator and the cluster bomb-blasting Fusion Bomb. Some weapons, however, aren't so fortunate in the fun factor. The Tornado Launcher uses the Six-axis controller to guide the twister into targets, but while trying to dodge enemy attacks and guide your shot, it can get quite difficult to do. Each weapon can be upgraded to hold more ammo, deliver more destructive power, earn more bolts and raritarium, and have a swifter reload time using a hex system. Continued use of your weapons level them up to unleash even more annihilative aptitude. This is also how you earn more Nanotech or health upgrades, by defeating lots and lots of foes. New to the series are devices that can aid Ratchet in battle. These range from the funkadelic Groovitron orbs which when thrown causes every nearby enemy to shake their groove thing while you happily blast them to smithereens. That'll teach you to shake what your momma gave you when I'm around! There's also the trash-talking Mr. Zercon who accompanies Ratchet for a short amount of time while unleashing missiles and other attacks on surrounding fiends. The wrench is great for close encounters of the Cragmite kind. Most platformers hark to an age of mass, obsessive collecting. Yes, I am looking very evilly at you, Donkey Kong 64. Thankfully, the Ratchet series has never been about that. The only collecting here is from the bolts that pour from destroying enemies and boxes to purchase new weapons, devices, and armor suits (seeing a shower of bolts pour from defeated enemies and boxes is extremely satisfying), raritarium from chests to upgrade weapon abilities as aforementioned, gold bolts that are deviously hidden throughout the game to unlock new skins from Ratchet from a snowman to a Cragmite, and holograms which are exchanged to the Smuggler character for a very kickass weapon which vets of the series already know and love. One skill point requires you to get across this bridge with the Charge Boots without getting burned. The main story mode will take first-time players around 10-12 hours to complete, but after beating the game players can opt to partake in the Challenge mode where they can upgrade their weapons even further, tackle more difficult enemies, and earn many more bolts from battle. There's also skill points which were Xbox 360 achievements before Xbox 360 achievements were even invented as they've been around since the very first Ratchet & Clank. By completing secret in-game tasks with the only clue for how to unlock them is one ambiguous skill point name, you gain points. The more points you earn, the more cheats are unlocked such as the mandatory big-head mode and cooler cheats such as developer commentary that are sprinkled throughout the levels. The aim of the game is pretty simple: jump from platform to platform, explore lands, while keeping your trigger finger ready and active. The platforming isn't difficult by any means as the series has really focused more on the action side of action-platforming. So if you're looking for more balls-to-the-wall platforming, I'd recommend Super Mario Galaxy over this. Regardless, the action of Ratchet is intense and very epic. In one level you'll be side-jumping from rail to rail all the while avoiding oncoming trains and enemy fire, while in another you'll be grinding circles around an enemy boss who keeps taking out parts of the rail for you to leap over. If you just use one powerful weapon to deal damage to enemies and just gunning and running with the same weapon, the game will probably be very easy for you. Factor in upgrading all of your arms to full power through repeated use, and you'll quickly find yourself happily using every weapon in your inventory even at the price of dying. There's multiple save spots, however, so you won't need to worry about the inevitable as you'll just be transported to the last checkpoint. Not all is fun in Tools of Destruction though. The Star Fox-inspired rail-shooting in space just felt tacked on and uninspired, and playing as Clank by himself with Zoni assistance was pretty much a snooze. 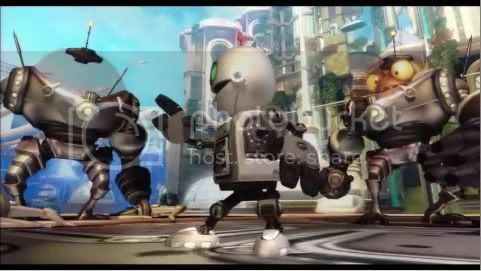 Hopefully Clank's upcoming PSP game, Secret Agent Clank, fares better in the fun department than his missions in Tools. This planet is another one of my favorites. Tools of Destruction is one graphically impressive title. The size and scale of areas is just breath-taking, and there's just so much little detail everywhere in the game. Each level is architecturally designed to differ greatly from the last. No two areas feel the same. My favorite of which is the Imperial Fight Festival which houses some great action, fun platforming, and the gladiator arena. It feels like a complete game right there. The only loading times to speak of is when transporting from one planet or level to another, and even then it's not too much of wait considering there's no waiting for areas to load once inside a level. The sound is just phenomenal also. The music is an orchestrated feast by David Bergeaud often coming across as a Pixar film score as if the characters didn't already come across that way. The voice acting is top-notch as well especially the old bot duo of Zephyr and Cronk who never fail to make me laugh. As a whole, the entire game is rich with heavy presentation and awesome little touches and effects. He was scary before, but now he's in HD! 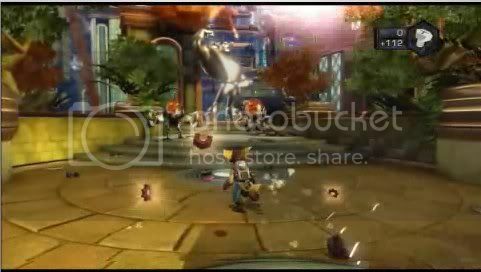 Ratchet & Clank Future: Tools of Destruction is yet another fantastic entry in the Ratchet & Clank series. It may the sixth title bearing the Ratchet & Clank name in seven years, but the quality is still so consistent that it's yet to become a problem. While it's not the best of Insomniac's lovable platforming pair, it's darn close. With loads of secrets to unlock, gold bolts to collect, weapons to upgrade, and enemies to battle, Tools of Destruction is a must-own for any PS3 owner looking for a taste of magnificent action-platforming. Story: Emperor Tachyon is targeting the last Lombax in the galaxy, Ratchet, in his quest to take over the universe. 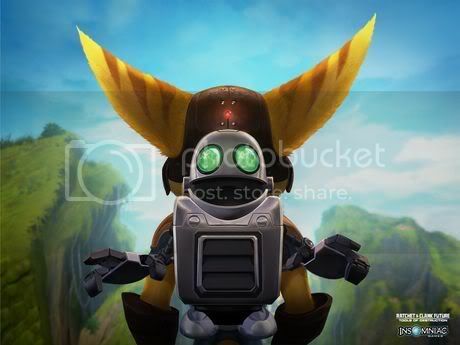 The key to Ratchet's past is in his future. Graphics: Pixar quality. They're just incredibly impressive. 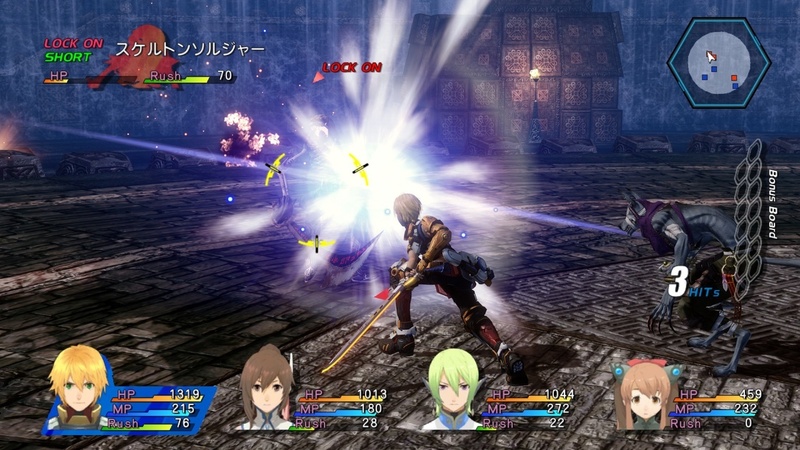 Gameplay: More action than platforming, but the series has been isolating itself from its roots since Up Your Arsenal. Sound: A great score accompanied by fantastic voice acting and sound effects. Replay Value: To unlock everything you'll most likely need to play through the game at least twice. Overall: 9.25/10 - A truly AAA experience that no PS3 owner should be without. This is the final week until the 100th review, so let's go out with a bang! First up is the latest edition in The Legend of Zelda franchise-- The Legend of Zelda: Phantom Hourglass. However, I'm confused. So it's a rehash if a game uses the same characters but a totally different gameplay device, yet it's fresh and new when a game uses different characters but the same old bloody shooter mechanics from Ultra Mature Game #389 for Adolescent Males, right? Go figure. If I had to choose my favorite video game franchise of all time, you can surely bet that The Legend of Zelda would rank as one of-- if not-- THE highest. When I read that the DS version of Zelda, Phantom Hourglass, would be controlled solely via the stylus I was quite skeptical. Could the series work by only using the touch screen? Surprisingly, the answer is yes, but how well does it function? Is The Legend of Zelda: Phantom Hourglass a "touching" and intuitive adventure, or are Link's new tricks better suited for traditional controls? The graphics were the first thing to amaze me. 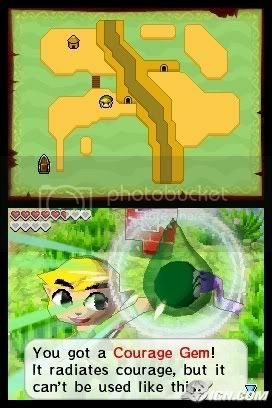 The newest Zelda adventure, Phantom Hourglass, takes place after the events of the 2003 Gamecube smash hit, The Wind Waker. Link had vanquished the evil that was Ganondorf and joined the pirate Tetra and her crew on the high seas for adventure. When Tetra's crew comes across a dense fog and a rickety old ghost ship, Tetra hops aboard to investigate. However, the ship begins sailing away, Link tries to jump ship to rescue Tetra, falls into the ocean blue, and winds up on an unknown island awakened by a spunky fairy by Ciela. What follows is standard Zelda form-- a formula that many fans have grown to know and love which may put off some wanting more. That isn't to say the formula remains the exact same. Sure, you venture into dungeons, find the item needing to solve that dungeon's puzzles, battle the boss, acquire the gem needed to advance the plot, and so forth, but there's some differences. For one, there is one main dungeon that Link and Ciela return to after completing a dungeon. 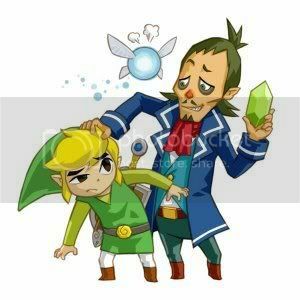 Received by Link from Oshus, the main village's elder, the Phantom Hourglass acts as a shield from the poisonous smoke polluting the numerous floors of the Temple of the Ocean King. The catch is that the protective shield will only last as long as the sands still fill the hourglass. By completing dungeons and defeating the bosses that perpetuate inside of them, Link gains more sand to journey deeper into the temple. 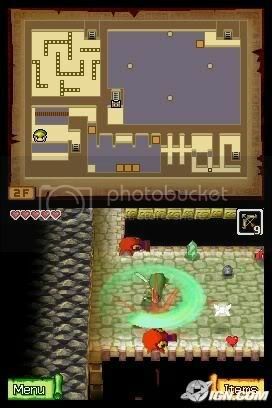 The items that Link earns will also allow Link access into further areas of the Temple of the Ocean King in order to find treasure maps showing Link him where he needs to head to next. Arrrr!!! A pirate's life for me! Another difference is the overworld itself. Gone are the days of changing the wind to explore the oftentimes tedious ocean of The Wind Waker. This time around, a wise-cracking cowardly captain by the name of Linebeck accompanies you on your journey. You pilot his ship around the ocean overworld by charting a path by drawing a line on the bottom screen. Your ship then follows that path while you go seafaring occasionally needing to defeat enemies via a cannon you acquire later on in your adventure or leaping over hazards. Seafaring is fun and all, but thankfully you can later earn the ability to be transported around the ocean by magical toads. By finding new maps in the Temple of the Ocean King, the areas on the overworld that you can explore expands gradually to the point where you can freely sail on all four map quadrants-- northwest, northeast, southwest, and southeast. A salvage arm earned later in the game can allow you to sail over to red X's on the map (revealed by finding red treasure maps) to salvage sunken treasure. 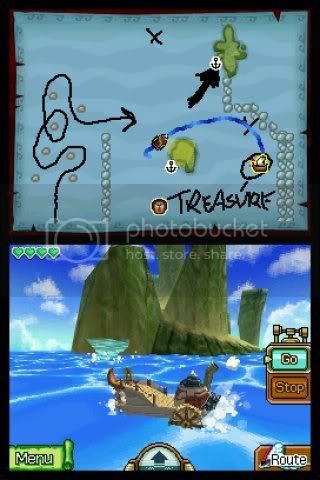 This is done by playing a mini-game where you drag the stylus to move the arm away from sea mines as you try to bring the submerged treasure to the surface. Circle the stylus around quickly to perform Link's patented spin attack. The main innovation here is that the entire game is in fact controlled almost completely by the touch screen. That's right. This isn't a bad thing either. By moving the stylus to various points on the bottom screen you direct Link around the various areas Phantom Hourglass has to offer. Attacking is quite simplistic as well. Simply swipe the stylus in a swift line to slash your trusty blade, draw a quick circle to perform a spin attack, or tap a foe for Link to pounce on top of it and strike. You also tap various townspeople to speak with them and grab onto pots and other grab-ables via tapping. Rub along the edge of the screen to initiate a roll. Be careful though. 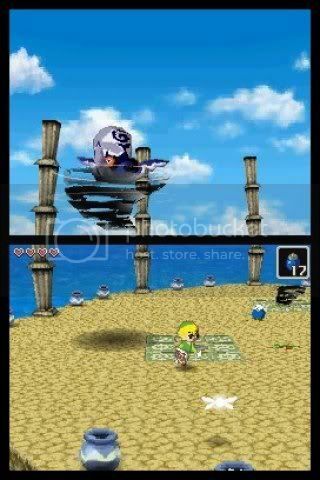 Roll too fast, too quickly, and you'll make Link dizzy! Various other functions are served with the touch screen such as pushing and pulling levers and rocks. You'll be thankful that Phantom Hourglass uses this control setup, too, as most items would only work by utilizing the touch screen. Any item in the game is selected on the menu on the bottom right corner. The earliest weapon in the game, the boomerang, for instance, is used by drawing a path for the weapon to follow. Drawing a line and throwing it around a series of blocks to hit a concealed switch, hitting a series of enemies in succession, or grabbing a number of faraway rupees are all methods of using the boomerang that would be near impossible without the touch screen's help. Additionally, the bombchu-- a motorized bomb- is used by charting a path for it to follow. Once it reaches its destination it explodes. This is great for sending it through enclosed spaces to turn on an otherwise unreachable switch. 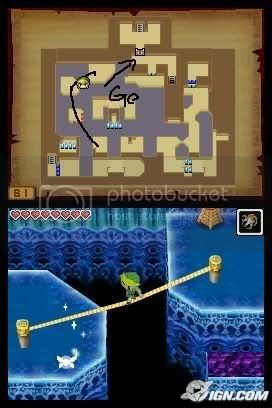 Link uses the grappling hook to cross this chasm. Not only is the touch screen beneficial for the usage of items, but it's also great and sometimes necessary for jotting down notes on the map, showcased on the top screen. Remember when you had to jot down on a piece of paper the order to pull a series of switches? Those days are over as you can now write notes on the map to assist you. This ranges from the order of buttons to press to drawing two connecting lines revealing the location of a buried item. The ideas the developers concocted by choosing to go with the touch screen are just amazing and very impressive. There will be moments where to quote Nintendo of Japan's president, Satoru Iwata, "You will say wow". Need to remember something? Jot down a note. That isn't to say the game will always perplex you. There's a wide assortment of gossip stones-- small rocks that will divulge information-- to be found. Most are sitting right next to a puzzle basically spelling out the solution to a puzzle, making the reward of figuring out the solution less fulfilling. To further harp on the ease of difficulty, the game is quite easy. You won't die a lot, and even if you do, there's a number of checkpoints to return to. Going back to the Temple of the Ocean King time and time again after each dungeon is quite annoying and tedious as well. You'll have to venture through the same floors as you head deeper into the temple each go. The temple itself has some very cool ideas like the seemingly invincible Phantoms which lurk on many of the floors. Let them see you, and they will chase after you until you enter one of the many "safe" zones in the temple. If they hit you with their sword, not only will you lose some health, but you'll also lose precious time off your hourglass (remember that you only have so much time to work with until your life meter starts going down). The boss battles are outrageously enjoyable and inventive. 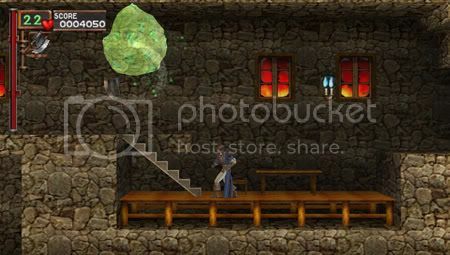 Other dungeons are sprinkled throughout your adventures in the Temple of the Ocean King. Each one has its own aesthetics, set of challenges, enemies, and puzzles to get the better of-- a series' staple. The item you receive in a given dungeon is usually the item needed to conquer the boss of that said dungeon and to complete the area's final puzzles. The boss battles are fun, engaging, and are some of the coolest ever seen in a handheld Zelda title. If you haven't figured it out by now, they definitely do not disappoint even by being on the easy side for the most part. If beating down baddies and advancing the story isn't your cup of tea on a given day, there's various side-quests to partake in. There's ship parts to uncover allowing you to customize the look of your vessel, and long gone is the hunt for pieces of heart. Now you'll be on the lookout for full heart containers giving the player one extra heart of health to work with. The most involved quest which takes the search for pieces of heart is the gem of three different varieties-- courage, wisdom, and power. By collecting ten of each you'll be rewarded with new moves, abilities, and powers. Collect twenty of each to earn even stronger powers. These gems replace Pieces of Heart as the main side-quest of Zelda. To round out the package, there's even a Wi-Fi enabled multiplayer mode where players switch between the roles of Link and the Phantoms. 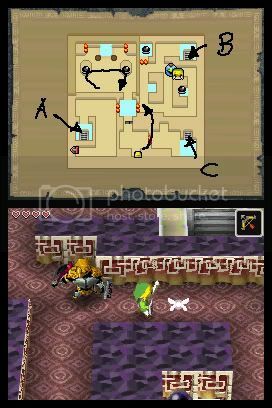 Link's goal is to gather as many force gems are possible into the score zone as possible while the Phantom's goal is to intercept him by drawing paths on the touch screen. It's nothing too in-depth, but it's a nice diversion for a little while. There's online play in Battle Mode, but it's nothing to write home about. Let's now turn away from all that to the game's aesthetics. 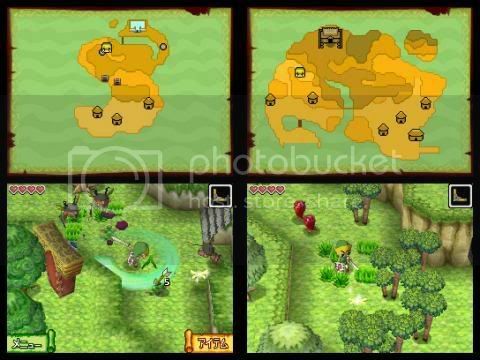 From the beautiful cel-shaded characters to the detailed areas, The Legend of Zelda: Phantom Hourglass is the most beautiful 3-D title for the Nintendo DS currently available. The game's colorful, and the visual effects are astounding. Sailing the high seas is truly a remarkable experience. If only the audio side of things were as interesting. While the music does pick up near the end of the game, overall the compositions are pretty uninteresting with the dungeon music being the worse offender. I would go as far to say that this soundtrack is the worst in Zelda's long-running history, and that's saying something. 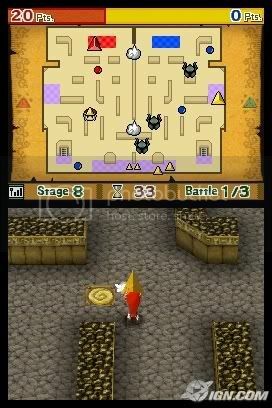 The Legend of Zelda: Phantom Hourglass may have had many fans worried with its news of being stylus-controlled only, but the controls actually function rather well. Many times you'll be thankful that you aren't limited to analog controls as many of the items vouch for. While the game is on the easy side and repeated visits to the Temple of the Ocean King can range from annoying to invoking feelings of ennui, Phantom Hourglass retains the same utmost quality you'd expect out of a Zelda adventure. From the charming art style and humor to the clever puzzles to the inventive bosses and dungeons, this title is a must-own for any Zelda fan-- a highly recommended handheld adventure. Story: Tetra has been taken prisoner aboard a ghost ship, Link's been beached on an unfamiliar island, and some form of evil is slowly controlling the land. Graphics: Some of the DS' best 3-D work. The cel-shaded art from Wind Waker is well-presented. Gameplay: All stylus? No problem! Solve puzzles, battle baddies, and discover the secret of Tetra's disappearance. Sound: The weakest Zelda in a while. Link's signature yelling accompanies the less than stellar soundtrack. Replay Value: The main quest takes about 15-20 hours to complete, but there's still all the heart containers, ship parts, and gems to acquire! Overall: 9.0/10 - Incredible. Not my favorite handheld title, but Phantom Hourglass is still a Zelda game that should not be missed. Thanks to Chief, we have a cool name for the poll-- the Central City Census! I think the month-long poll went very well. We had 35 votes total. That's about 1.17 votes per day. Let's look at the results, shall we? What do you think about SuperPhillip Central? Thus, 75% like the direction of the blog, and 25% don't. How can I improve the blog? Be sure to leave suggestions either in the C-box or in this comment section. That was September's poll, so now let's move onto October's census. October's poll heads to what this blog is mostly all about-- games. The question is quite simple. Which gaming platform do you own the most games for? I voted for DS which I own 71 games for. Second would be the Wii with 45 games. Aw, poor SuperPhillip's Favorite VGMs! Don't worry, bud, you'll bounce back. At least you'll always be employed here, right? Doesn't that make you feel just a bit better? ...What do you mean I don't pay you? ...Anyway, it's that time of the week again. Allow me to post five more video game songs that are some of my favorites. Do you like any of this week's choices? Let me know in the comments section! 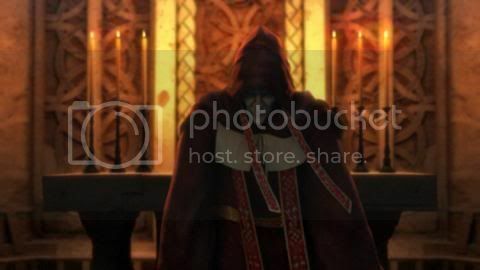 This very haunting and powerful vocal track is from Castlevania: Symphony of the Night. No worries if your favorite hasn't been listed yet, I still have a couple more tracks I really enjoy. WARNING: The end clip is very violent and shows Adam's (one of the game's many psychopaths) death. Even if it doesn't spoil the game's plot at all, you might want to experience it for yourself during the game. With that said, this is the techno theme of the crazy clown, Adam. Are those mini-chainsaws you're juggling around, or you just freaking nuts? ...Oh, it's both, I see. We haven't had a track from Final Fantasy Fables: Chocobo's Dungeon (reviewed 2-3 weeks ago) since Volume 12 or 13. My memory alludes me. It's the Pop-Up Duel song which I believe is the battle theme of the original Final Fantasy. Please correct me if I'm mistaken. The song starts off retro-like, and then kicks in. It's very powerful to me. From Donkey Kong 64, Crystal Caves was one of the most difficult areas of the game. So many challenges, so many ways to go, so many hours to get lost in, etc. At least it had a relaxing theme! This track comes from an extremely rare official Capcom album featuring music from the original Mega Man X. It baffles me why Storm Eagle wasn't included while all the other main stages were. Odd. Regardless, this is an all-jazz album, and man, does it have the pepper! This track is the epilogue theme. "As X stands over the ocean... blah, blah, blah... Zero rapes him.. blah, blah, blah." Enjoy. That's a wrap on another week! Next week we'll have our second multiple part video for Volume 175. Don't worry though as we'll still have four other videos to complement it! If you're feeling impatient, you can always check out past and future volumes from my Youtube channel. This is probably my most anticipated game of the fall. I'm really intrigued on the various game concepts and elements involved. I hope it turns out well. Here's a new trailer showcasing Showdown Town. Does the song sound familiar? It's an orchestrated version of Jinjo Village from Banjo-Tooie! You can find the direct link here. It's close enough to October, so I will unveil the games I have planned for the month's reviews. We'll see how many of these I can churn out, but like last month, I probably won't get around to all of these. You can tell the holiday season is in full swing as the amount and quality of games have surely increased since last month. WipEout HD (PSN) - Depends if it looks okay on an SD TV. Need confirmation on this. That's a fair enough amount. There's very little filler like Soul Bubbles and Nanostray 2 were last month (those reviews may still come).